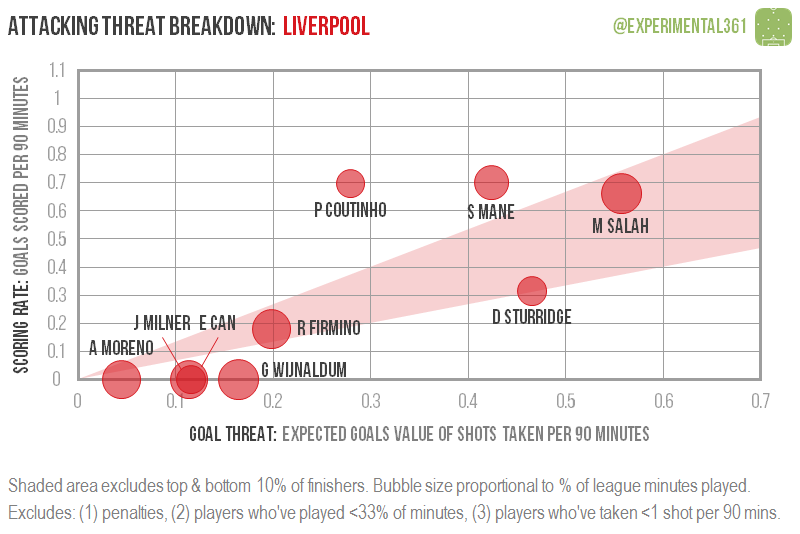 The usual suspects are setting the standard. 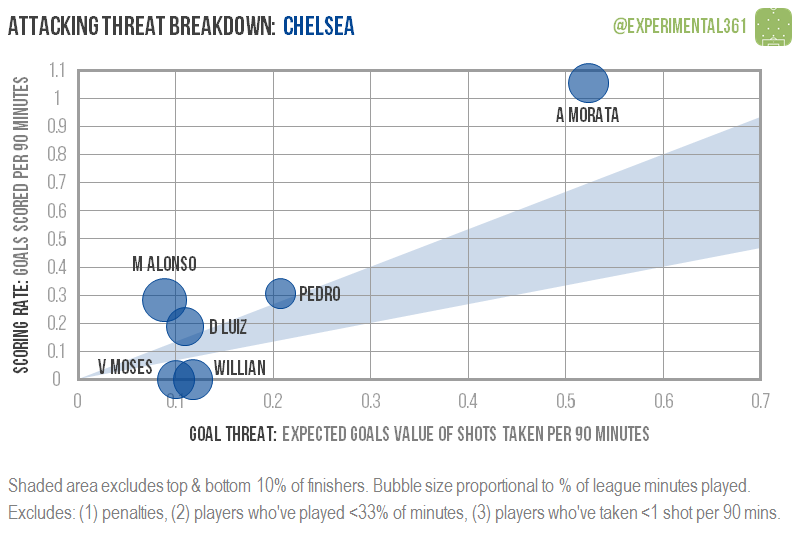 Alvaro Morata and Sergio Aguero have been scoring at a prodigious rate – better than a goal every 90 minutes – but, given that the chances they’ve had would yield far fewer goals for the average player, I suspect they’ll cool off a bit as the season wears on. 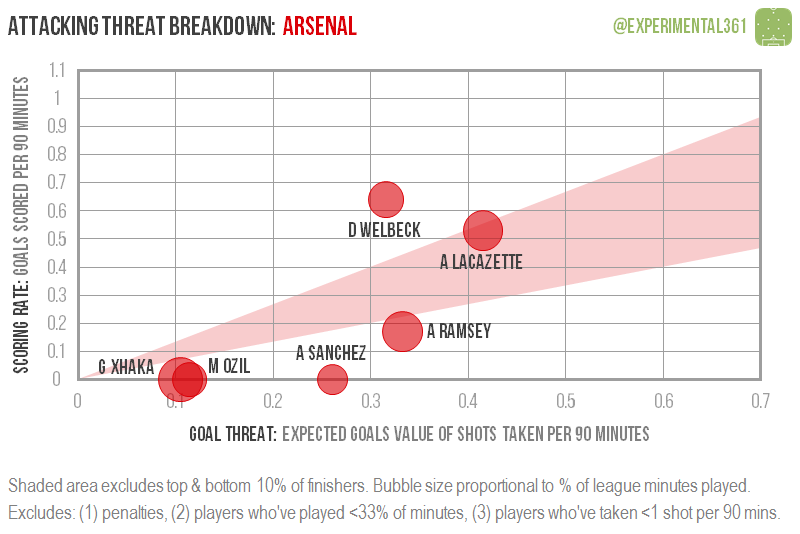 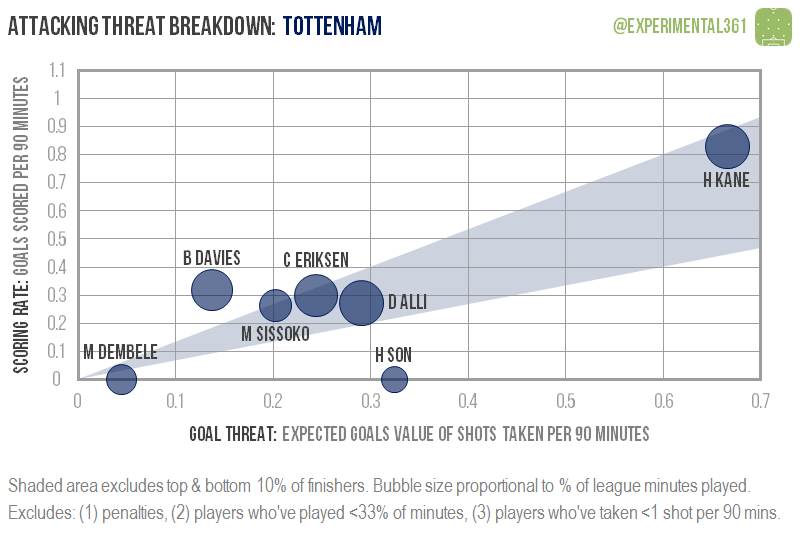 Harry Kane is (perhaps unsurprisingly) Tottenham’s most potent threat by quite some distance and his output looks far more sustainable. 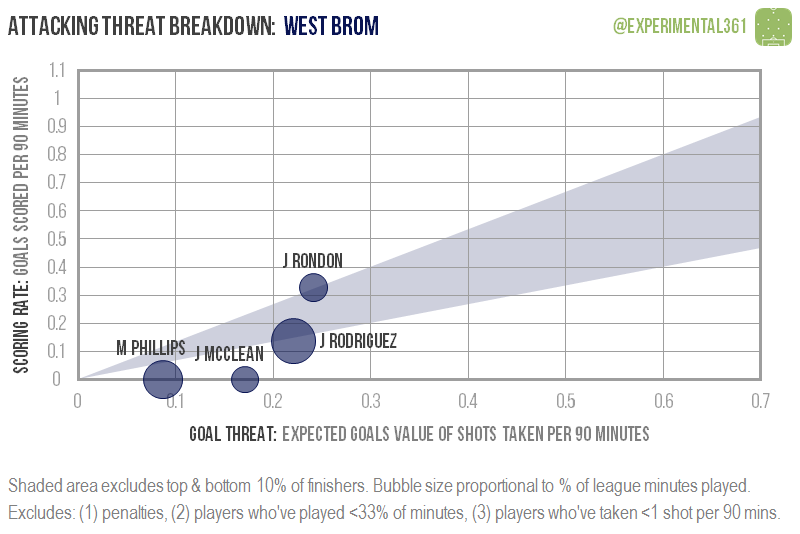 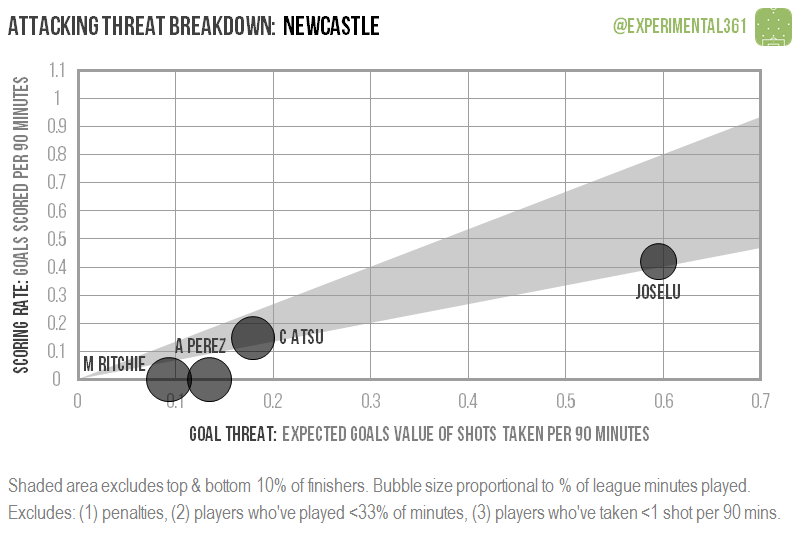 The same can be said for Joselu at Newcastle, who could be scoring even more frequently by the looks of it. 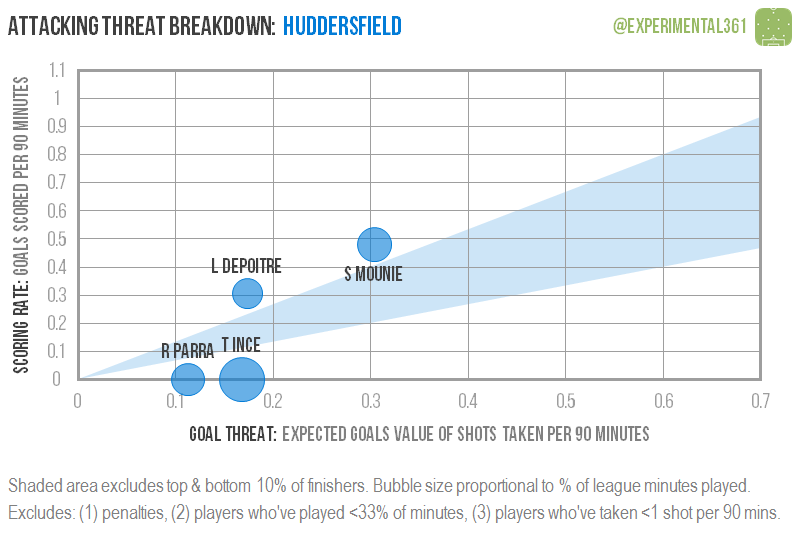 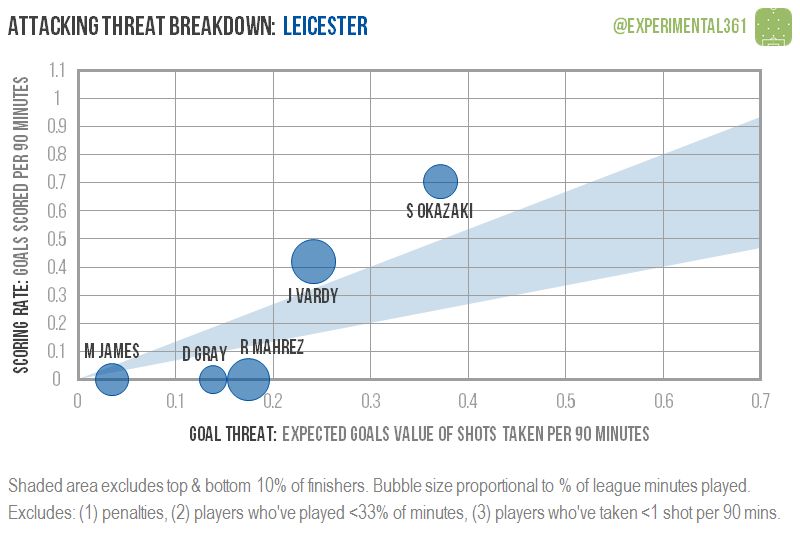 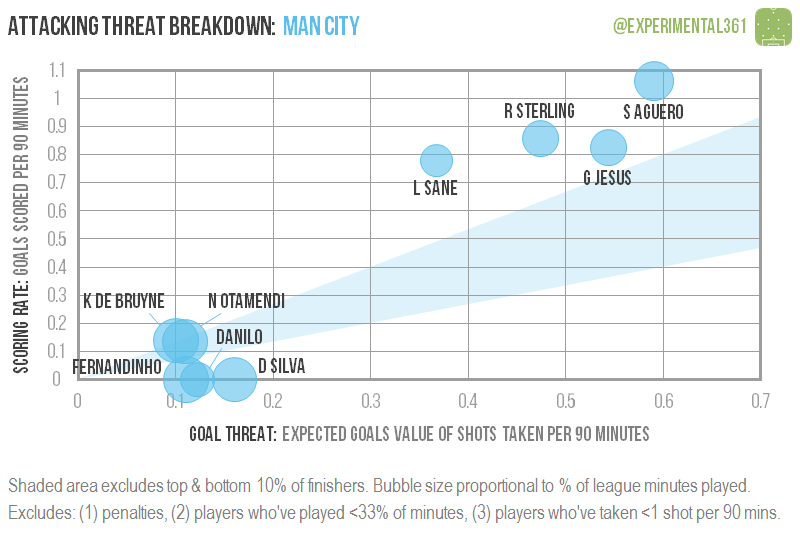 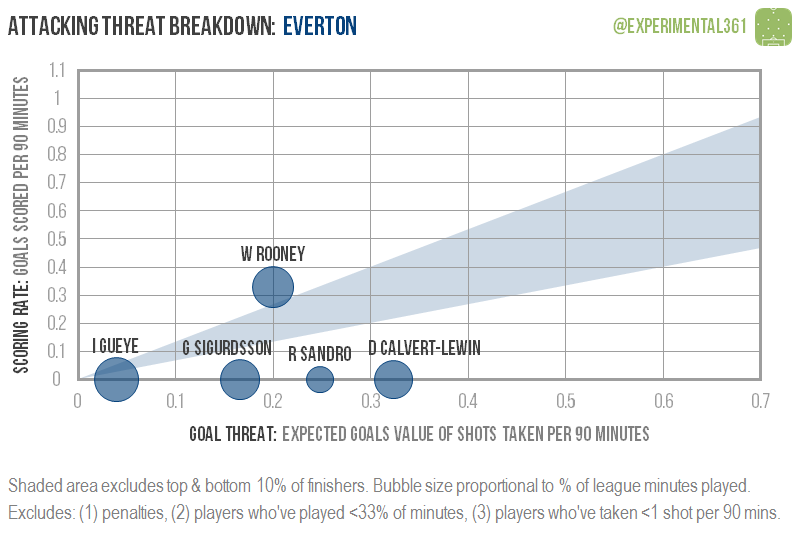 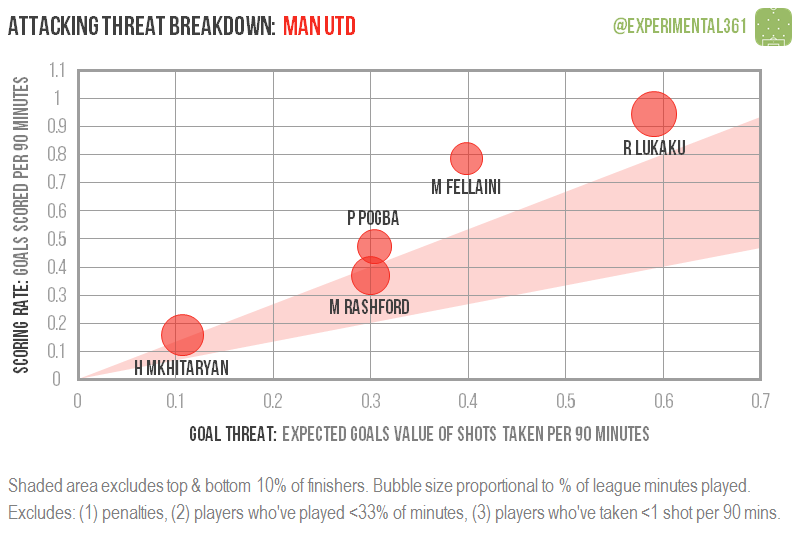 While Kane and Morata dominate their clubs’ attacks, Man City and Liverpool seem to have multiple attacking options, so Sergio Aguero’s absence probably won’t affect the former’s goalscoring all that much. 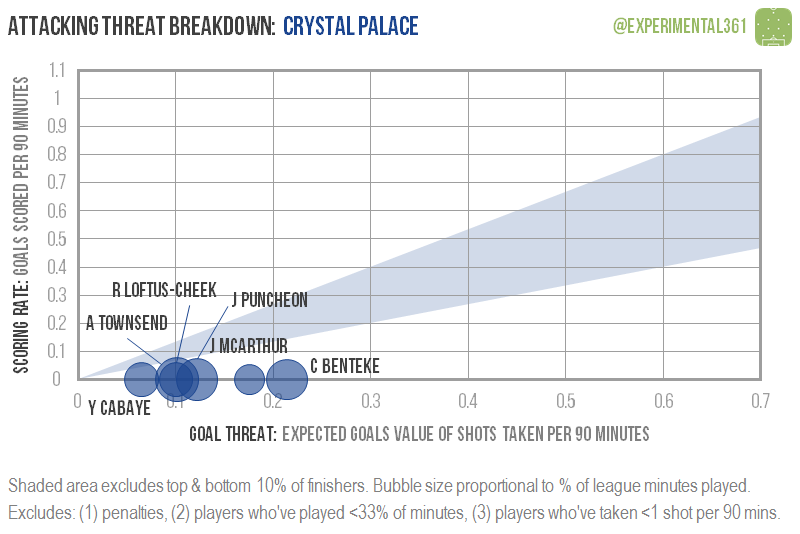 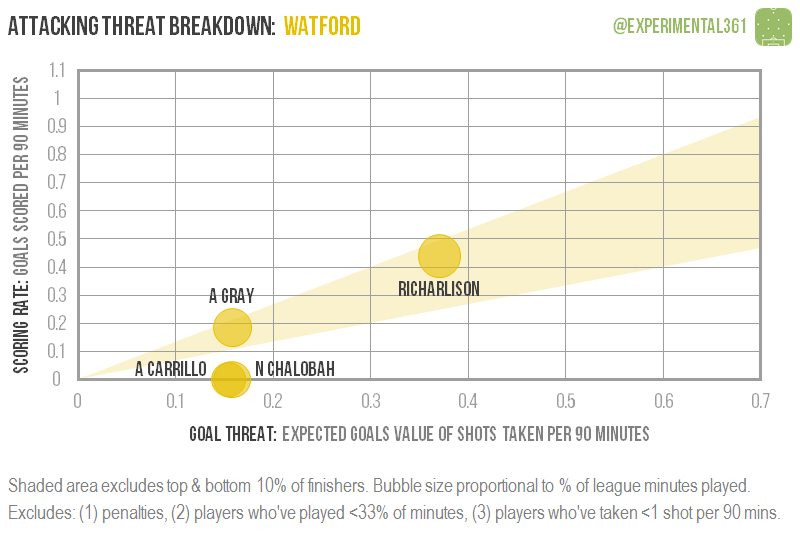 Two clubs whose graphics require a bit of explanation are Crystal Palace (whose players all sit at the bottom of the graph as they haven’t scored yet) and Swansea, who only have one player – Tammy Abraham – on theirs. 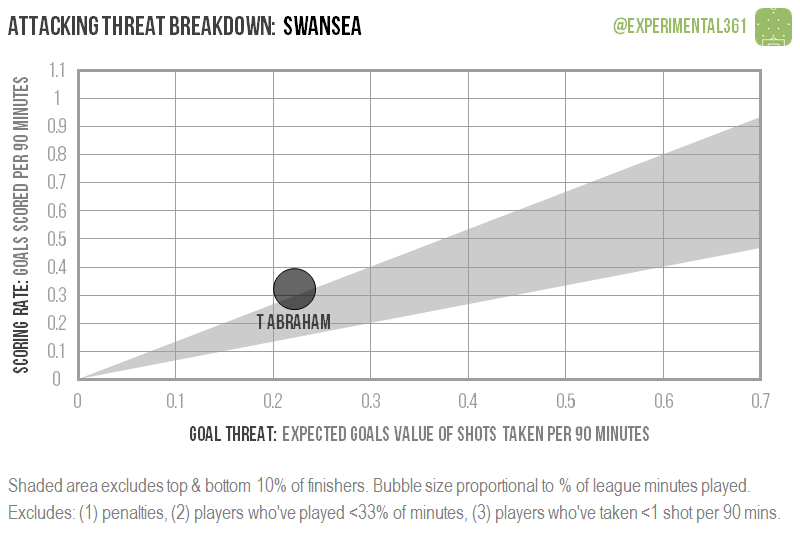 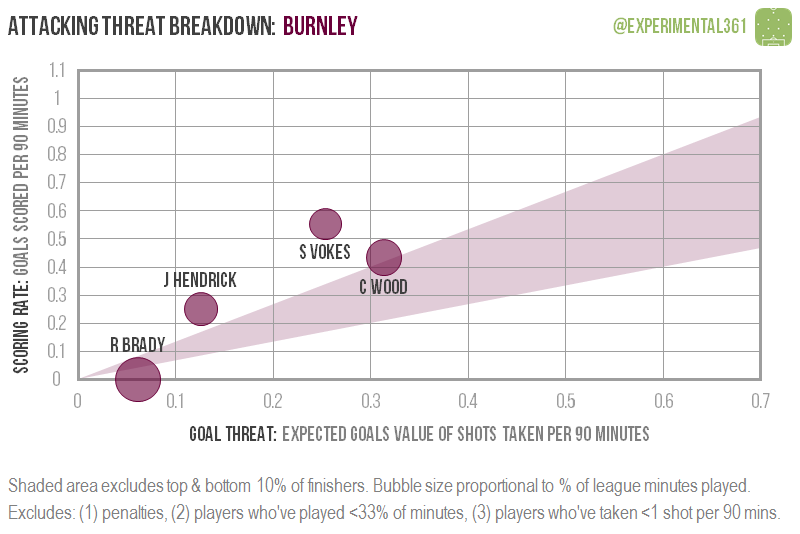 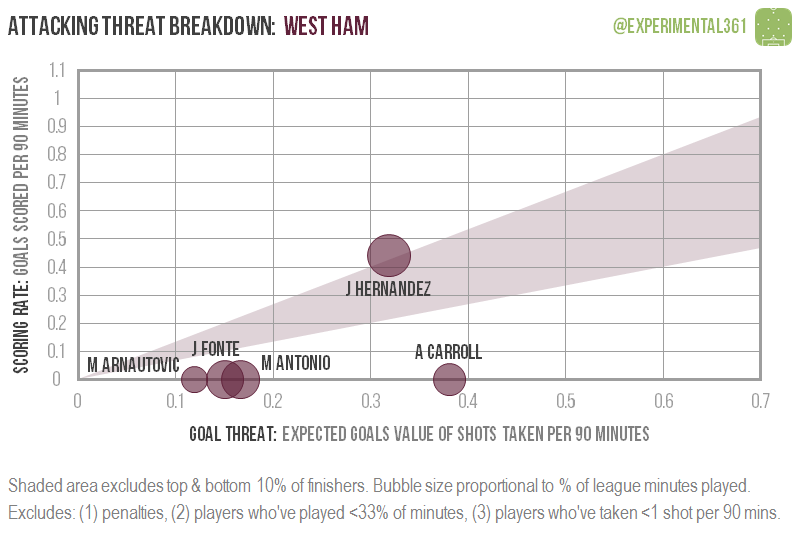 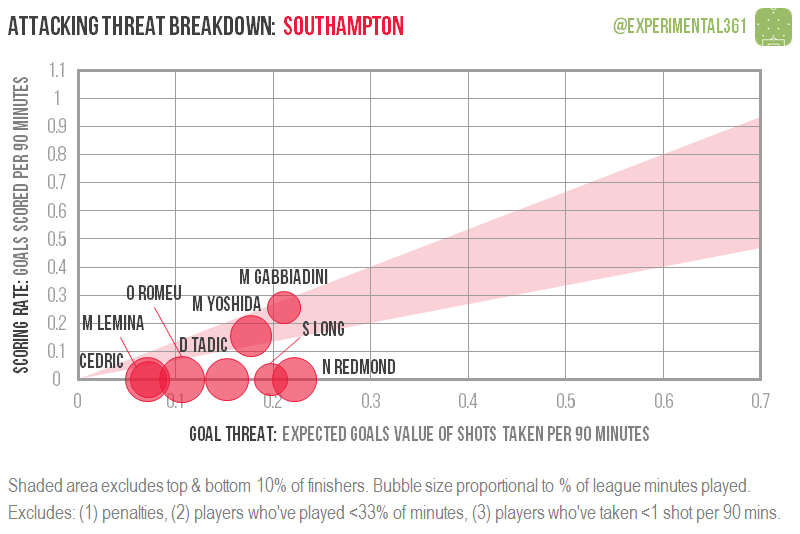 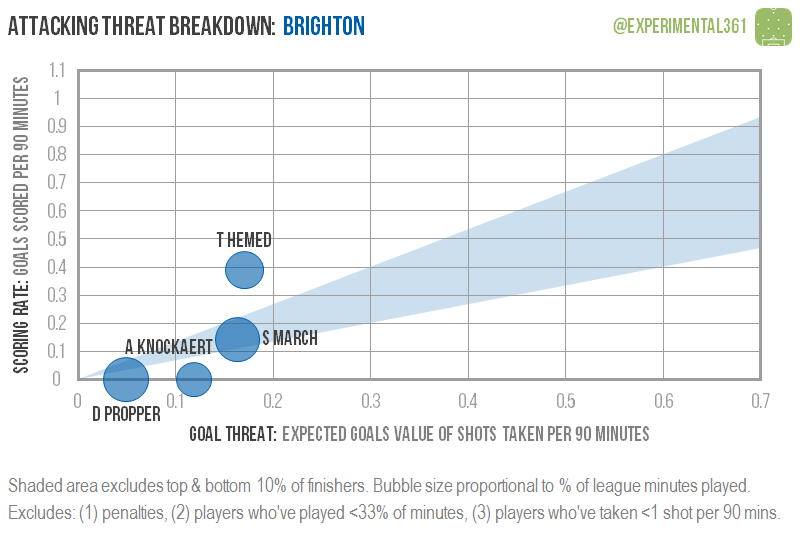 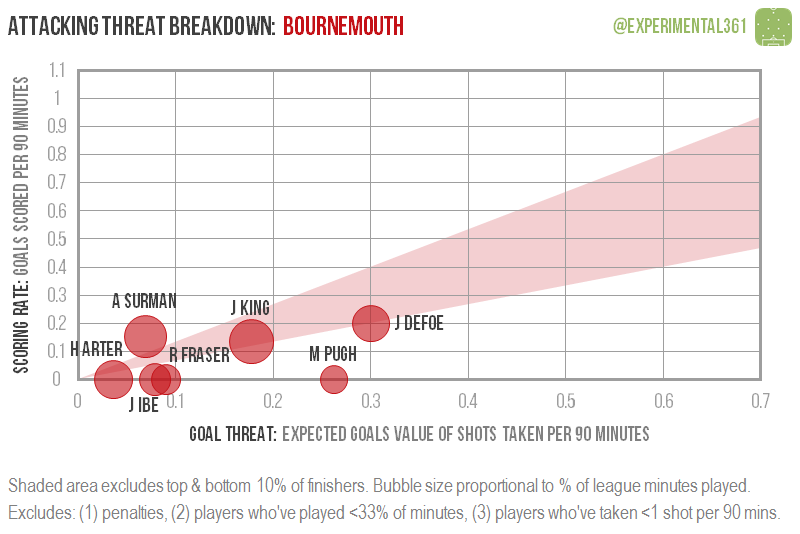 The reason the Swans’ is so bare is due to no player besides Abraham having registered at least one shot per 90 minutes: Leroy Fer and Jordan Ayew come closest, but neither has offered much of a threat. 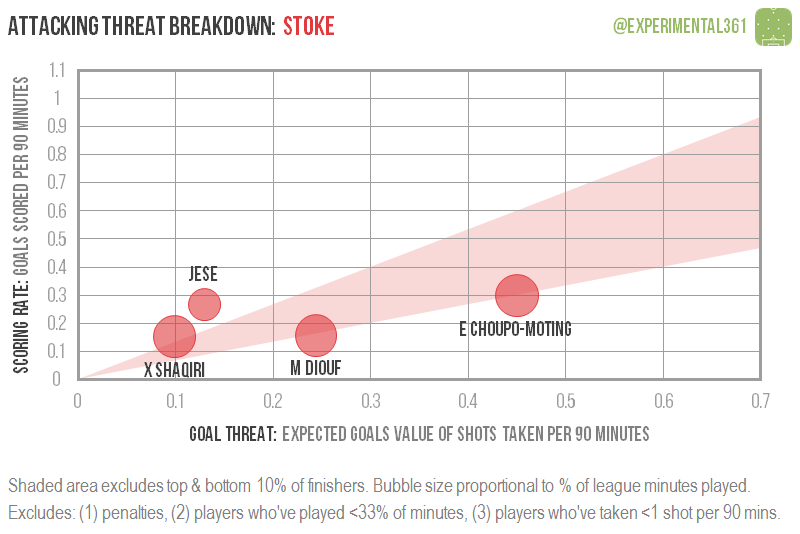 Another absentee is Wilfried Bony, who hasn’t played enough minutes yet to make the cut.